Aloe :: known our products, their properties, characteristics and presentations. 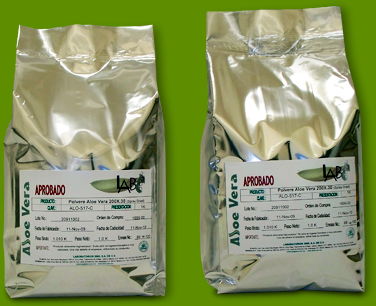 Aloe powder's only input is Aloe Vera 40X, which is subjected to a dehydrating process. The mixture is sprayed as micro droplets into a controlled dry hot air flow, which quickly and easily vaporizes all the water off the gel, leaving only Aloe solid powder, and preserving its main attributes. 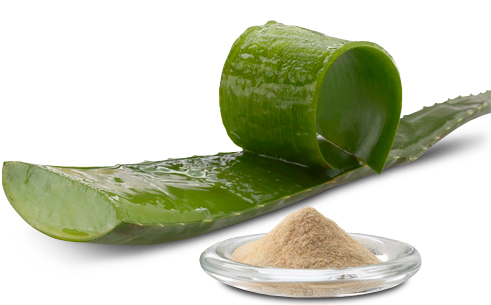 To reconstitute a product equivalent to 1X juice, just mix 1 part powder Aloe and 199 parts water.